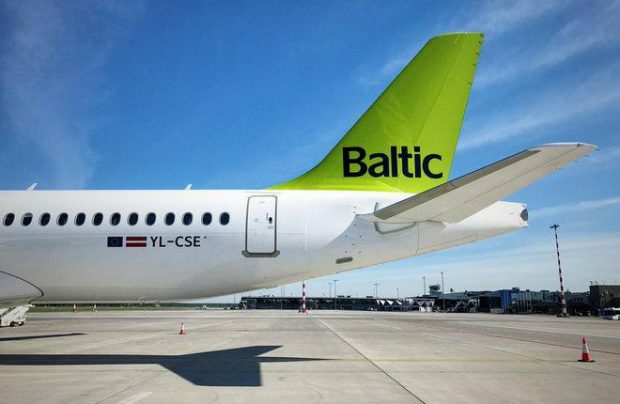 Latvian airline airBaltic has received its fifth Bombardier CS300 narrowbody, the carrier reports in a tweet. The aircraft, YL-SCE, was delivered on June 16 and is currently on display at the Paris Air Show. airBaltic has a total of 20 CS300s on order. The first of the type joined the carrier’s fleet in December 2016. According to trade publication Air Transport World, the airline’s first CS300s had completed a total of 1,552 flights and flown 3,892 hours by the time the fifth was delivered. The operator expects to receive another three CS300s in the near future; deliveries under the current contract should be completed by the end of 2019. The 145-seat new-generation Canadian aircraft are expected to replace the carrier’s aging Boeing 737s. airBaltic is planning to open 13 new destinations in 2017 with the help of the new airliners.